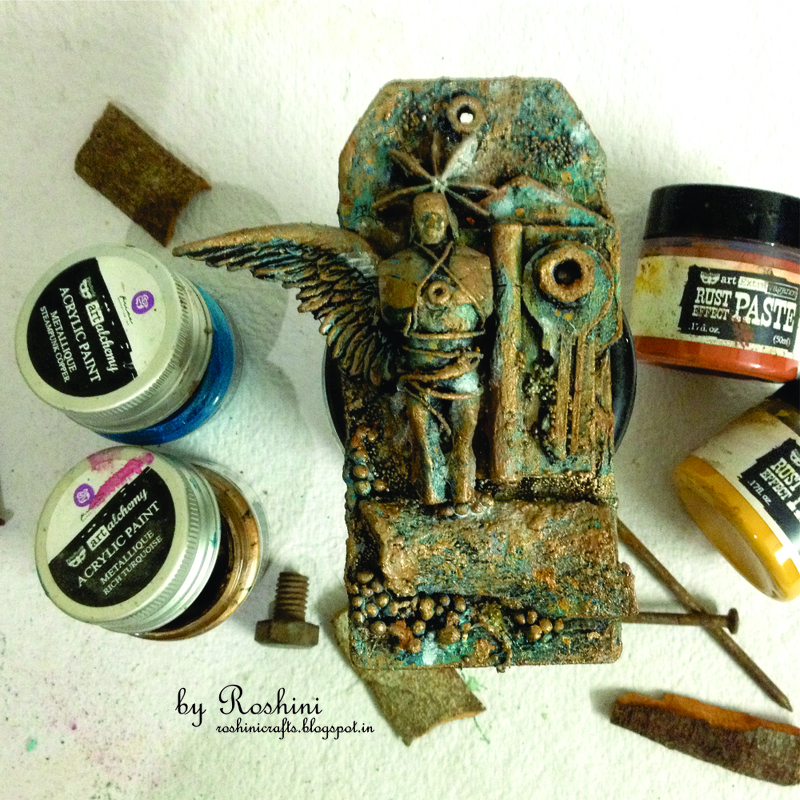 Today I am on blog today to share one more mixed media make, And it is a tag this time. 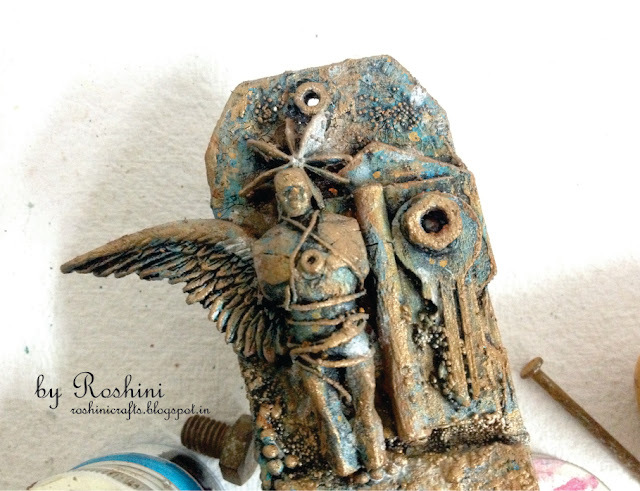 Titled "life is mysterious" Isn't it true? we never now whats gonna come up next, but still choose to fly how hard it could be to unlock the mystery of life to chase your dreams and happiness. And the tag is here for you to have a look. this project is little grungy with loads of textures goodness loaded with prima marketing products and finnabairs line of mixed media essentials and alchemy paints. 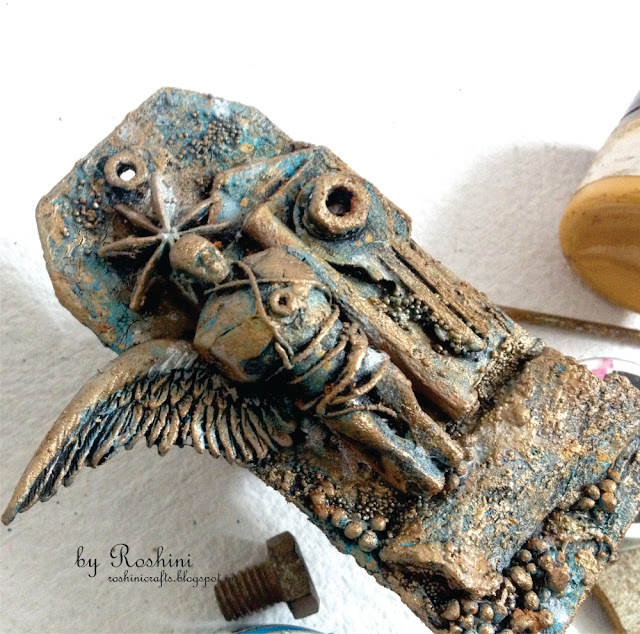 I used a small broken toy from my kids stash resin wing,micro beads,nuts and screws,hinge,wire,star anise,cinnamon for composition of entire project. beuatiful work. i love the patina and all of it! Thanks for showing on SASPC! Amazing tag !!!! 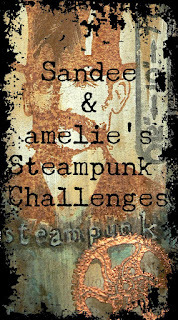 thank you for your participation at Sandee & Amelie steampunk challenges. So cool! 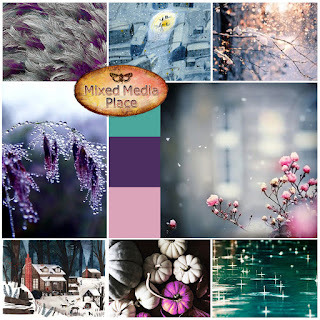 Thank you dear for joining us at MMP challenge! 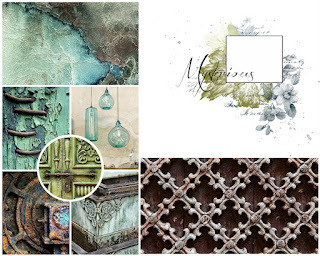 Great composition with these elements! Beautifull tag! Thank you for joining us at Retro Kfaft Shop challenge! Veeeery cool! Love this so much! 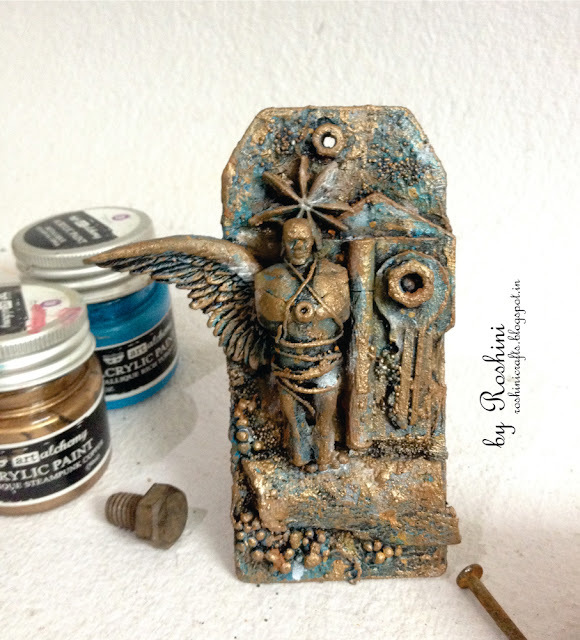 Thanks for playing along with us at SanDee&amelie's Steampunk Challenges!